First Aid training is something that could be further rolled out, according to some in this article. NCT is an operator with its own in house training team. Here one of its vehicles has been filled with smoke as part of a training course. Are your staff getting the training they need? 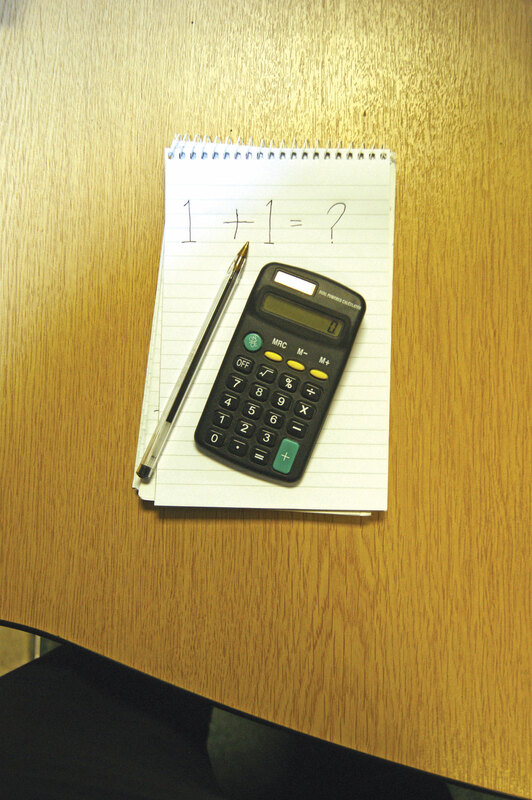 Basic mathematics is lacking in the industry, according to some trainers. Two of EYMS’ new training buses. What skills gaps exist in the industry? What areas do operators need more training in? With the mandatory CPC training and numerous other tuition that staff in the industry need to go through, it is perhaps easy to think that all bases are covered in terms of training. However, are there areas of knowledge and skills that may need improving? Chris Peat spoke to a number of training providers to find out. Chris Shelford at Ridgeway Training says one area that may require extra training is basic mathematics skills. He finds this is particularly the case with the trainees coming in for the company’s management CPC courses. Mastery of English can be found lacking too, even with those who speak it as their mother tongue. Drivers can often have the same issues Chris finds. He believes the reason behind this is that everyone is part of the ‘computer generation’, they are used to computers checking spelling and number crunching for them. The Government, he believes, should be further concentrating on investing in bus and coach training, especially considering these professionals have people’s lives in their hands day to day. With a similar view to Novadata above, Pauline Hayter of Wright Training has noticed the bus and coach industry embraces training more than the truck sector, with perhaps a quarter having to fund it themselves. She believes there needs to be more first aid training for drivers, especially when considering a driver can have around 50 passengers onboard, with a high chance they are elderly. Also, she says very few drivers have manual handling training. One of the company’s most popular courses is drivers’ hours. A more structured syllabus must be put in place for CPC courses, according to Pauline. She believes Driver CPC can be treated like a tick box exercise by some and claims there is a need for ‘some sort of testing’ to be implemented in them. Iain MacBrier at QV Associates finds the problem is not so much about a gap in skills, he sees the issue as being the planning of training. His company focuses on training transport professionals in scheduling and service planning, quite a ‘techy’ subject in his words. The nature of this means that if he sees a customer ‘every five years, then they are a regular for us’. He says operators are aware they need these technical skills, but he often sees that it is only when someone with these abilities comes up to retirement that there is ever any thought given to training someone else in them. He noted that one operator has realised this is an issue and now trains half a dozen of its staff in these skills, yet only puts three of them into the work. This technique, he says, ensures there is a ready supply of ‘spare’ schedulers. Acknowledging the lack of drivers in the industry, John McLachlan of Sibbald Training said driving courses are always a popular option. 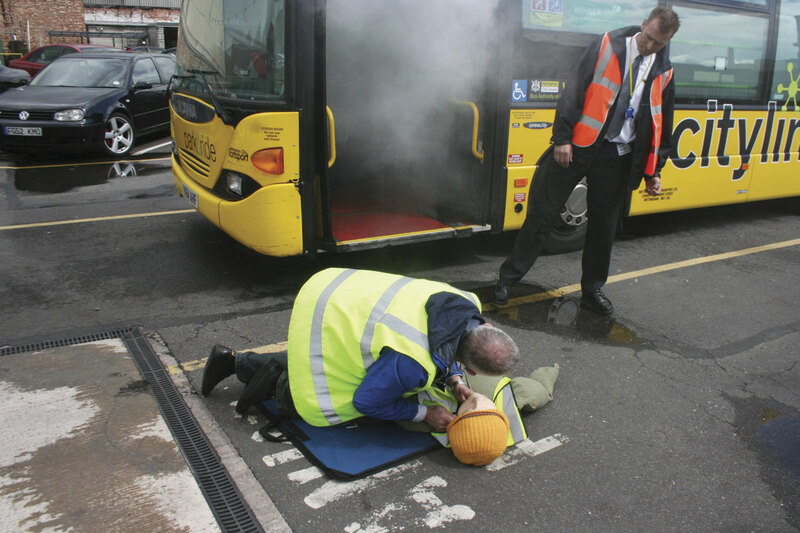 In terms of Driver CPC courses, he has noticed there is a great requirement for First Aid courses, especially ones like his company’s where learners gain their seven hours training and a separate First Aid certificate. Safe urban driving is an area he sees there is a lot of demand for, in particular tuition for dealing with cyclists coming up on the left side of a vehicle is commonly requested. John suggests it would be a good idea to develop a curriculum for CPC courses, which he says would take away the stigma it has of being a ‘tick box’ practice. He also mentioned his firm is offering half price driver medicals. Peter Walker from Peter Smythe Training says his company’s complete training package is proving popular. Many customers are now choosing this option, which takes raw recruits through every aspect of training, including the driving side, initial CPC and all ensuing CPC training. Being DSA accredited means not just tuition but testing can be carried out at the centre. Andrew Davidson of Friendberry has noticed there are less doing Transport Manager training. He suspects this is due to high exposure to regulatory action, as well as ‘just the general grief’ these professionals get. His company provides a range of CPC and other courses for the industry. It carries out exams for some of them and Andrew finds one of the most common things that fail entrants is basic maths. Friendberry puts answers to its case study questions on YouTube, allowing trainees to revise relevant issues. Originally, drivers were reluctant to go through with their mandatory CPC courses, many having not been in a classroom for a number of years, but has noticed this is not so much the case anymore. John Pepperell of Phoenix Training has noticed one area where there is a skills gap is with CPC training for those coming back into the industry. They decide to return to a driving job and ‘expect there to be a five day course on their doorstep’, claimed John. ‘They think they can just hop on a course and then, of course, reality hits them.’ Phoenix Training offers Driver CPC day courses for as little as £35 per day. One of the big overriding issues in the industry is a lack of drivers. One way around this is to train your own, which is something Crosville Motor Services does, both in terms of PCV licence and Driver CPC. Raymond Lumney from the operator said customer service training is just as important as actually getting learners through their PCV test. He said, ‘Say if you’re a young guy and you want to be a bus driver, where do you start? 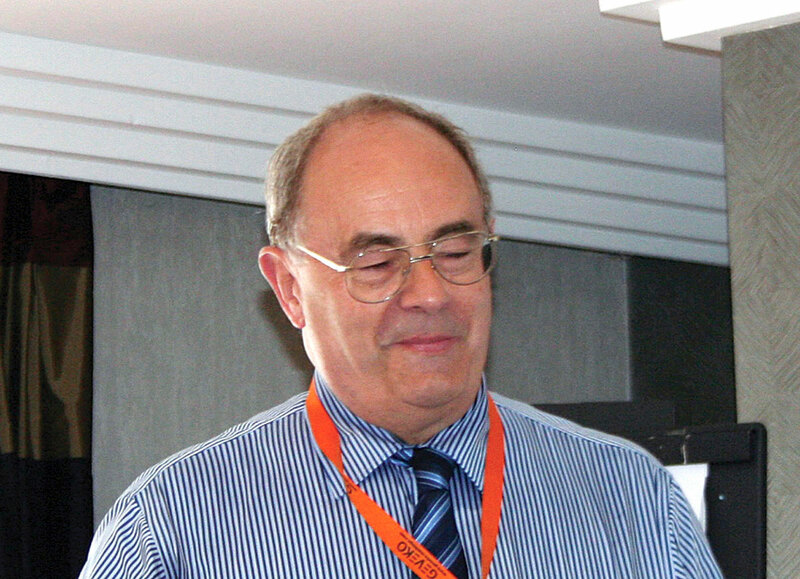 You need a company to provide your training from scratch.’ Since taking on its own transport training, Raymond said Crosville has had a ‘steady stream’ of drivers come onboard. One of the benefits of training your own drivers, according to Raymond, is they can be taught to work the way the company works, avoiding them bringing bad habits from former employers over. 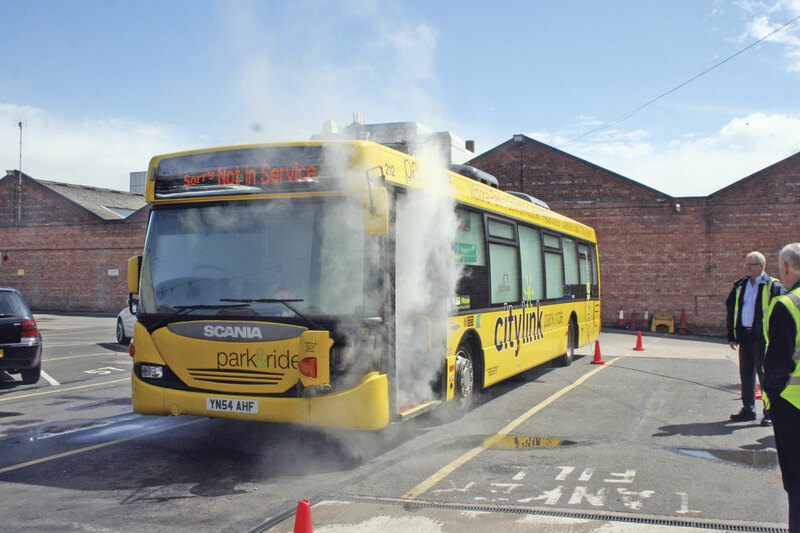 Other operators that provide in house training include Nottingham City Transport and East Yorkshire Motor Services (EYMS) who recently upgraded its training vehicles. It has swapped its previous single deckers with three Plaxton President double deckers. The former London buses have been converted in house to training vehicles, with a raised floor beneath the specially installed instructor’s seat to ensure the trainer sits at the same level as the driver. As well as driver training, it carries out Driver CPC courses too, with defensive driving, drivers’ hours, customer care and disability awareness training. The latter is carried out with the help of local disability organisations, such as Hull and East Riding Institute for the Blind (HERIB) and a local dementia charity. The above is not all the training providers available in the industry. Others involved include Nationwide Transport Training, which has the contacts and skills to provide or source all forms of bus and coach training in addition to its breakdown service. Specialist Training offers various courses and consultancy services, ranging from Drivers CPC through First Aid to Transport Managers seminars. Tangerine Transport Solutions provides Driver CPC courses in defensive and eco-driving, legal issues, accident procedures and drivers hours and tachographs. This is in addition to the BTEC courses it does, which include an intermediate and advanced award in delivering and controlling professional bus services in London. It also provides an NVQ Diploma in driving instruction for PCVs. As well as its Driver CPC training courses, Ward International provides a range of preventative maintenance products, including drivers’ daily defect books, maintenance wall planners and inspection pads. 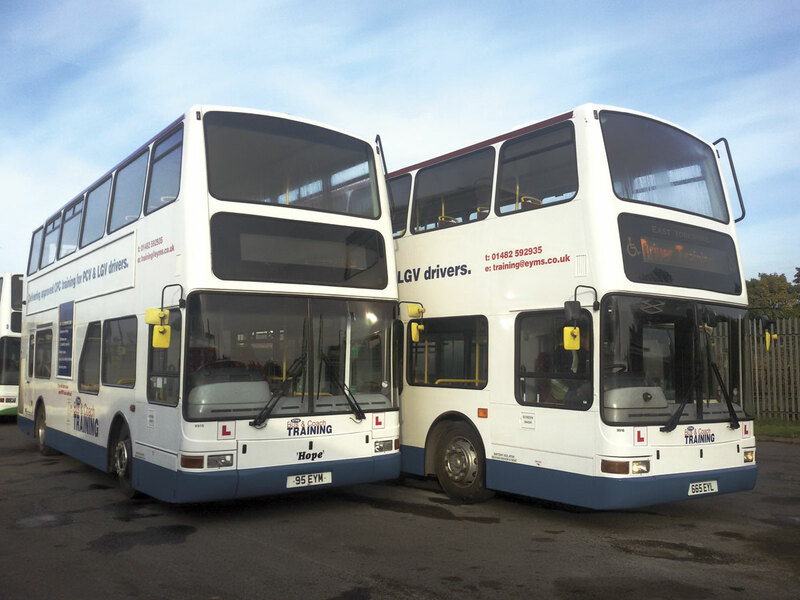 From learning to drive vehicles to initial and periodic CPC training, L&T Training aims to cover all training requirements for PCV drivers. The company has licensing to carry out vocational driver tests. AA DriveTech has offered Driver CPC training since 2010 and has gone on to make a number of leaps and bounds in its history. These include taking on WCR Europe, an international road safety solutions provider. 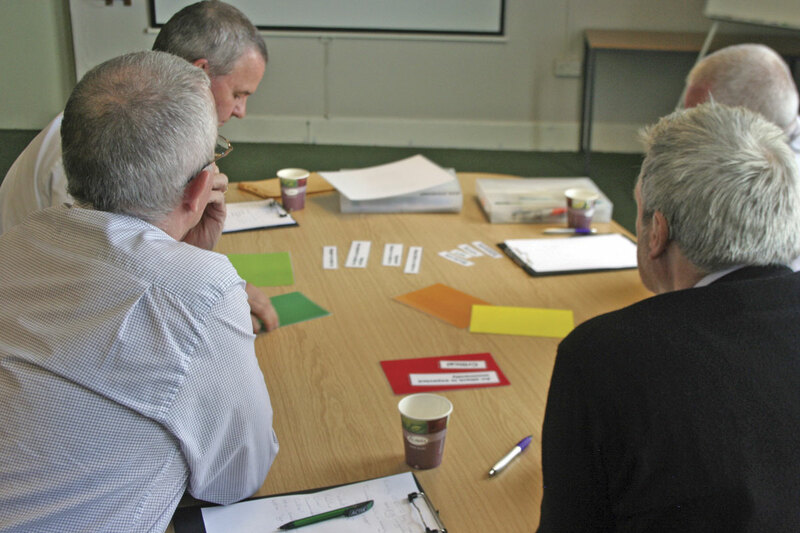 Mix and match modular courses for Driver CPC are available from CRH Transport Training. Two of its range of courses make up the required seven hours. They include Digitac Operation and Procedures, Safe Vehicle Loading and Unloading, Customer Care, Eco Driving and Health and Safety in Transport amongst various other topics. Some of GAP Training’s newest courses include Manual Handling, Disability Awareness, Environmental Training and Equality and Diversity. The company aims to offer training that improves its customer’s productivity, leadership, management, efficiency and health, service and safety. Approved onsite testing facilities for bus driver training are available at GTG Training. Its instructors hold nationally recognised qualifications awarded by the DVSA or Road Transport Industry Training Board. Targeting all driver training needs, Chevron Training provides a range of training courses designed for individual and company needs. Based in Flint, north Wales, the company has its own DSA approved testing centre, meaning training and testing can be carried out on site. Wallace School of Transport in London provides bus, coach and minibus driving courses from early mornings through to evenings and selected times at weekends. The company aims to provide one on one training, involving only the trainee and instructor. The courses are followed by immediate tests. It can also carry out initial and periodic Driver CPC courses.